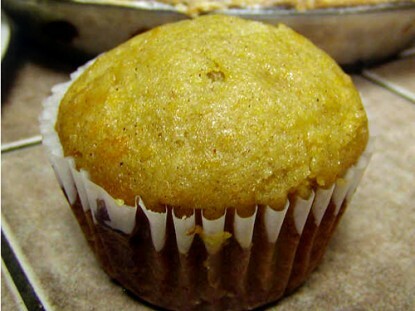 These muffins are delicious, so dense and moist! 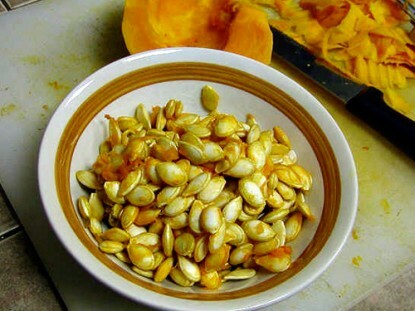 It’s a good way to get squash into those folks who won’t usually eat it. Just don’t tell them. 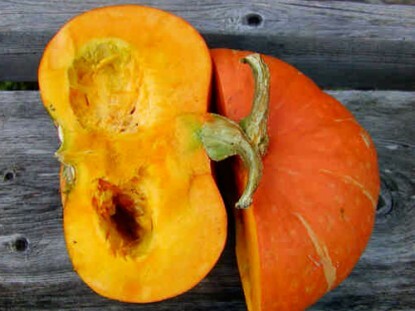 They are best made with real cooked and mashed winter squash, either fresh or from the freezer. Just, please, don’t use that canned stuff!! There are several ways this can be accomplished. 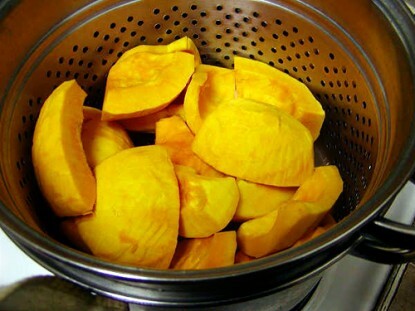 Baking: Turn squash halves upside down in a pan with a little water and baked for about 45 minutes in the oven. 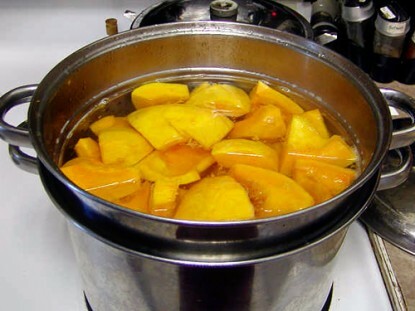 Let cool and scoop cooked squash out of peel. Boiled: Peel and cut into big chunks. Bring to a boil and cook for only 10 minutes. If it cooks in the water for too long, it will be too wet. Drain well and mash. A potato masher works well for this, as does a ricer. Microwave: I have never tried that as you can only do one piece at a time and I am usually processing many squash at once for the freezer. 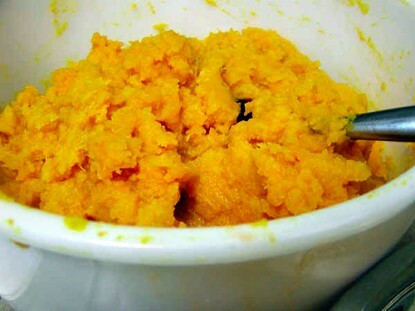 When the squash is well done, mash it with a potato masher. What a beautiful bright orange this is! Lots of beta carotene! Baking is easier but I had squash pies in the oven so I peeled and boiled this. 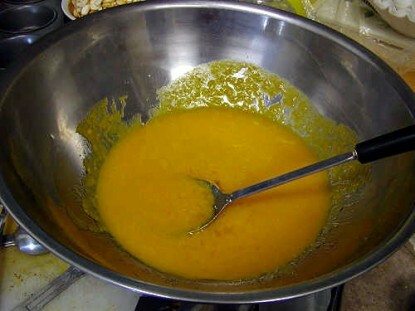 Mix the wet ingredients together in a big bowl. Then mix the dry ingredients together in another bowl. Stir the dry ingredients into the wet ones until well mixed. Spoon into muffin papers or a greased muffin pan. Fill quite full as they don’t rise a lot. Bake at 350F for 20-23 minutes until barely starting to brown on top. Delicious hot with real butter or at room temperature! Good in lunches too! Sheryl blogs at Providence Acres. You Put What in the What? Sheryl, what variety of squash is that? I love the deep orange color and the flesh is very thick. I grew Long Island Cheese two years ago and loved it too but they get huge, up to 17 lbs. which is a lot of squash….still have several quart jars canned. I have added the recipe to my file and will try it soon. I made this with the last of last year’s squash. 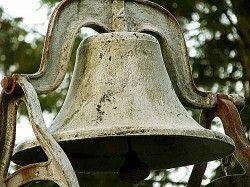 It’s a combination of hubbard and ambercup. 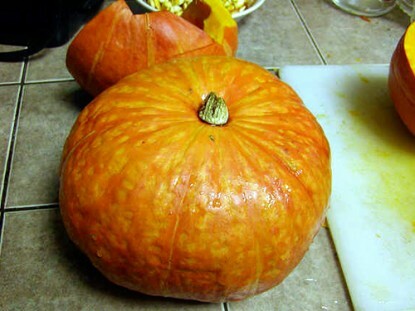 Any winter squash will do. I grow a lot of different kinds. I have discovered another one this year that I think will be our favourite. It’s the Hopi black. It’s a much darker and richer shade of orange than what I used here. It’s big, meaty, sweet and beautiful! It’s always nice to have another way to use squash, thank you! These muffins sound awesome Sheryl. Any new way to make winter squash is greatly appreciated 🙂 we love it!